Many of NASA’s satellites spend their entire lives pointed deep into the cosmos, but the space agency also had plenty of lenses pointed back down towards Earth. 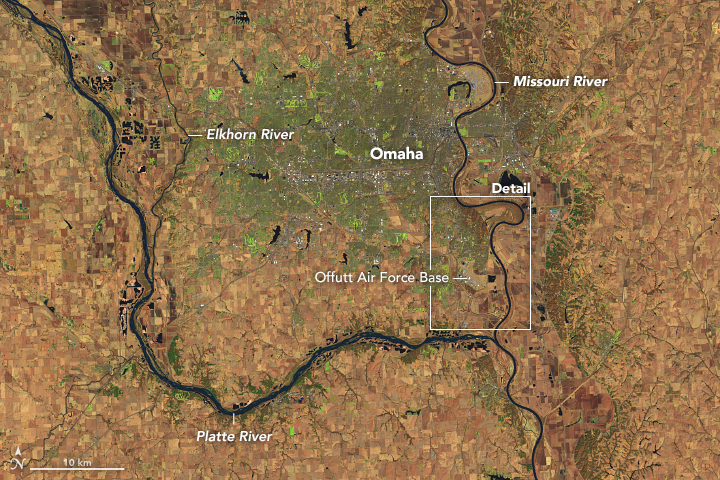 NASA tracks all kinds of things that happen here on our planet, including weather systems and natural disasters like the record-setting floods currently taking place in Nebraska. 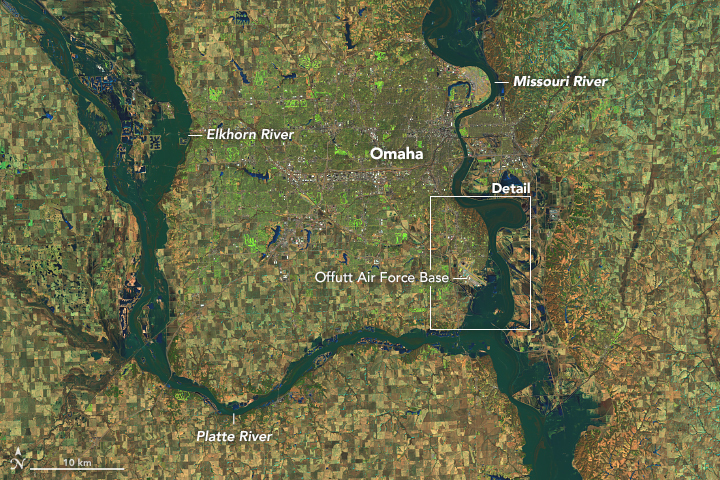 In a new series of images, NASA’s Landsat 8 satellite shows how dramatically much of Nebraska has changed as flood waters turned otherwise calm waterways into lake-sized bodies of water spilling into populated areas. The following before-and-after photos were snapped a year apart. The flooding has resulted in several evacuation orders across a wid area, primarily affecting communities near the river system that includes the Missouri river and Elkhorn river. As NASA explains, a variety of things contributed to the record-breaking water levels. On top of that, river ice piled up in many areas, causing water to back up to even higher levels. Plenty of farmland was flooded as a result, but the primary concern was of course the riverside communities. Many homes and businesses were flooded, and some areas even became islands in the middle of raging river waters.